The USA Basketball Women's U17 World Championship Team Trials are being held from May 26 - May 30, 2016. The trials will start with 145 of the nation's elite U17 players. Only 12 players will be chosen to defend the USA's perfect 23-0 record. Take a look at what last year's coaches and players had to say about the trials. 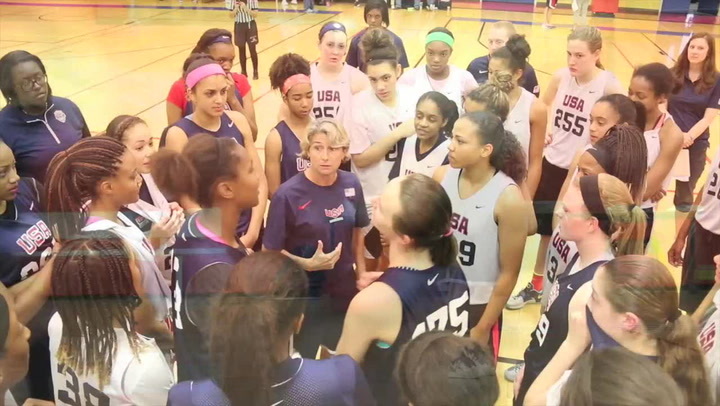 The 2015 USA Basketball Women’s U16 National Team jumped to an 8-0 lead and never looked back in its bronze medal 81-24 victory over host Mexico in the 2015 FIBA Americas U16 Championship on Sunday night in Puebla, Mexico. After fighting back from being down by as many as 22 points in the game to within six points in the fourth quarter, the USA Women’s U16 National Team’s comeback attempt fell short against Brazil, and the USA lost 72-63 in the semifinals of the 2015 FIBA Americas U16 Championship.